Want to read more? A reflection on a visit to the killer of a childhood friend, “No Apologies” first appeared as “What Really Happened” in the July 2010 issue of TriQuarterly. 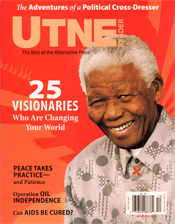 The essay was reprinted in the November/December 2010 edition of Utne Reader. It has been selected for The Best American Essays 2011.